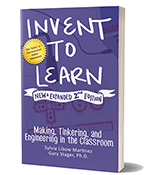 Invent To Learn: Making, Tinkering, and Engineering in the Classroom features hundreds of links to high-quality books, websites, projects, and other resources to help you create a makerspace in any school, no matter your budget. 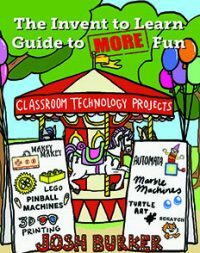 Click on the links below to find all the resources found in the book plus extras! Chapter 16 is the resource chapter, so all the resources in that chapter are found in the “All Resources By Topic” section above, sorted by type.